Need help with that car seat?? Do you need help installing a car seat? 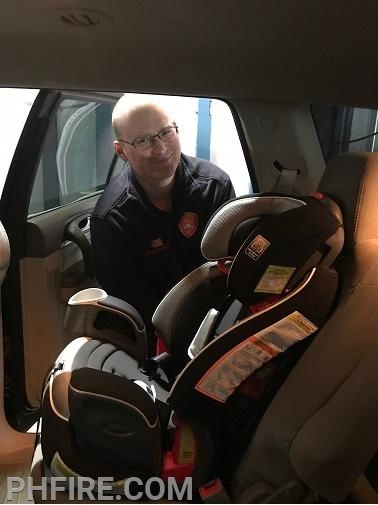 If so, the Prospect Heights Fire Protection District has many highly qualified car seat technicians that are willing to help with your car seat install needs. Children are our most valuable asset in life. The firefighters in Prospect Heights are always willing to facilitate an install when your family is in need of a helping hand. You can call the fire department and schedule and installation, or simply stop by and set-up an appointment in person. *** Special thanks to FF Arthur Sekscinski, FF Michael Newkirk, and FF Tyler Hill for helping out a family with a car seat install today on a very cold day in Prospect Heights!